Mystic Diviantion is a magic mod that brings a twist to Minecraft. It implements a whole new concept to the game. A system known as Morality. Morality can be raised or decreased by doing a variety of different things, from mining certain ores to eating certain foods. A player's morality governs certain spells that they can cast. The spells are cast in the form of what is called an "Order." Orders are held within card items that are crafted from Tarot Paper and various essence items to infuse the paper with the Order's power. For example a player who primairly focuses on Sin may be able to cast an Order that drastically increases their Strength for a period of time. In the alternative, a player who focuses on Virtue may be able to cast an Order that drastically increases resistances. In addition to the morality cost, certain spells also require certain reagents that are needed to act as a catalyst to cast the spells. Another neat feature Mystic Divination adds is something I like to call "Alter Crafting." Certain alters can be found/created that will allow the player to right-click on it with an item and then retrieve a new item in it's place. For those familiar with Advent of Ascension's alters, this system was inspired by that. 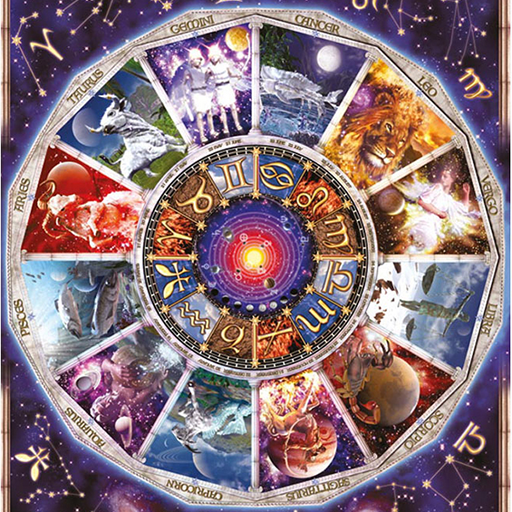 Overall Mystic Divination is designed to give the player a new type of Magic to play with and add new systems to enhance your experience. This is indeed still updated however very infrequently. Major new features may not be added because the bulk of the community is now on 1.12.2. However, I still clean up my code fix some very minor bugs that may not even present themselves. I also change some things around mainly internally and then possibly toss out an update to the mod and I haven't had to do that in some time. Trust me, I do know that many still play 1.10.2 and 1.11.2. HOWEVER that being said, there actually is a spiritual sucessor to this mod that I am almost ready to release that is called Runic Sorcery. Runic Sorcery is a 1.12.2 mod that pretty much implements everything this mod has to offer (minus morality, but maybe will add it later) plus so much more. So keep an eye out for that mod to get released soon on 1.12.2. Ah that sounds cool! I will make sure to look out for it! Glad to hear you are still around and working on this! Looking for community thoughts here. I am considering adding in killing hostile entites to cause Virtue to increase. However, the problem I am facing is that players who want to play as Sinful will always be at a disadvantage since well, you kill things in minecraft, thats kinda what you do. So let me here your thoughts. Should I implement that feature, and just have it as an incredibly low chance of incresing virtue, or should I restrcit it somehow and perhaps make mobs in Mystic Divination itself that you can kill to alter Sin and Virtue? Maybe you can add an "sin/virtue amplifier" item that triggers the killing of creatures to count? Maybe some sort of ring that has to remain in your hotbar and (if baubles is installed) can be equipped? That's actually a really good idea. Perhaps an item that needs to remain in your inventory, a talisman of sorts. And if you have one in your inventory, kills have a chance to trigger a Virtue increase or if you have the other talisman it has a chance to trigger a Sin increase. And well if you have both, nothing happens to prevent exploits. Oh wow! Thank you ;) I am currently working on a 1.12 modpack so I can sadly not play around with this mod too much. I would probably consider using it in the pack and write some crazy lore* if you ported it, but I am not the kind of person to push mod authors to do this type of stuff faster than they want to themselves and absolutely respect them for writing anything at all (I tried to myself and quickly realized that I am too overwhelmed with coding), so take your time! *I always write some crazy lore that usually is not even related to the mod's concept itself, I am a weird person. This might be a bit late and I've only just discovered this mod so you'll have to forgive me but I assume you can accrue 'sin' by killing passive mobs? Accruing 'virtue' by killing all hostile mobs might put the sinful at a disadvantage but it could also be limited somewhat. Killing undead mobs, for example, rather than all hostiles. Granted zombie and skeletons are pretty common but it would reduce the imbalance somewhat and makes some amount of intuitive sense; undead are an affront to the natural order etc. etc. blah blah. It seems like you've already found a solution but I thought I'd mention it anyway, seemed like a good idea to me. I like the aspect of this mod, but I am not a 1.11 kind of guy myself. Any chance for a 1.10.2? If I am being honest I would have to say "I don't know." There are slight variations between version of 1.11.2 and 1.10.2 of Forge and although the variations are slight they can have significant impact. Couple that with the fact that Forge support generally comes with "current version (1.12)" and "previous stable (1.11.2)" a 1.10.2 version is generally "phased out." Now that's not in anyway to say mods aren't created for 1.10.2 at all thats just how the support aspect of it works. The reason I say "I don't know" is because Mystic Divination has a chunk of backend stuff going on with the morality system that I would have to see if the 1.10.2 version of forge has implemented. And that is a big chunk of code that I'd have to look through. So I don't want to say "No" absolutly not but I can't say for certain "Yes, absolutly." I like the concept. It is nice and simple and would fit in a lot of lightweight- or exploration based packs. But I personally think that gaining Sin/Virtue just by breaking ores is a bit too simple. You probably considered that as well, but maybe trading with villagers, killing animals (and the earlier mentioned villagers as well), residing in the Nether, setting blocks on fire, killing hostile mobs, breeding animals, harvesting crops and maybe even enchanting items could all have a minor effect on your balance resulting in a more accurate scale since you could literally just break/place loop the ore to get to the Virtue Level you want for a spell even though you are a sinner :X. And I think it would be great if you wouldn't just see a message in chat that says your level of Karma so to say but maybe you would need to read tarot cards for it? I mean your mod contains already Tarot-like "skill cards", so why not making an "Arcane Tarot Deck" that you have to lay out on some kind of special table to peer into the soul? I love those suggestions. And yes I am definitely adding other methods to increase your sin and virtue. The block breaking method was only implemented so that the system was functional upon release. But all your suggestions are great ones. I especially like the residing in the nether idea as well as killing the villagers. With respect to the special table to see your morality, yes the foundation for a system similar to that is already implemented as I plan to have a different method for displaying morality in future versions. Great suggestions. I love them and thanks for the constructive feedback. Suggestions are welcome. I ask that if you want to suggest different spells and such or functionality please utilize the Issue tracker above and tag it as a Suggestion. It's easier for me to track them that way then always trying to find the comments. The same goes for bugs. If you find a bug please use the issue tracker as well. I hooked, but I don't see judgment. I want to offer couple punishment or reward. The chance lightning stroke increases to 25% and also in case of a fight (murder) of Villagers you don't lose a repuation in the village. Also Zombie Pigman won't react to a fight of Zombie Pigman between you. I'll be posting some pictures up. Just wanted to get it up onto Curse first. EDIT 1: Video showcasing morality placed up. EDIT 2: Posted up some images. looks nice but we need some pictures please.